Scabies infection looks very similar to eczema, other insect bites, dry skin and sometime impetigo. Then, how do doctors distinguish between all other types of insect bites and scabies? Let’s find out. Article Body: Once a person gets infected with Scabies, the first symptoms appear only after 4 to 6 weeks. The moment you see the symptoms of rash or feel an itch, you should consult a doctor right away. Remember the mites have already been inside the body of the patient for almost a month. Delaying the visit to a doctor can sometimes lead to bigger problems that might be difficult to control. The doctor will not waste his time looking for the mite as it is microscopic. At a time there are at the most fifteen mites inside the body of the host. The doctor will scrape off the skin and observe it under the microscope. The first symptoms of the mite are red bumps and itch that cause an allergic reaction inside the body. The body reacts to the eggs and feces and that leads to the itching. The doctor will try to spot the streak of lines in gray or red, which are actually the burrows of the mites. Only a trained and experienced doctor will be able to make out theses tunnels. The doctor will mark the area with a washable marker and later wipe of the ink with an alcoholic swab. The places where the burrows are present will show an outline of the ink and appear like dark streaks. 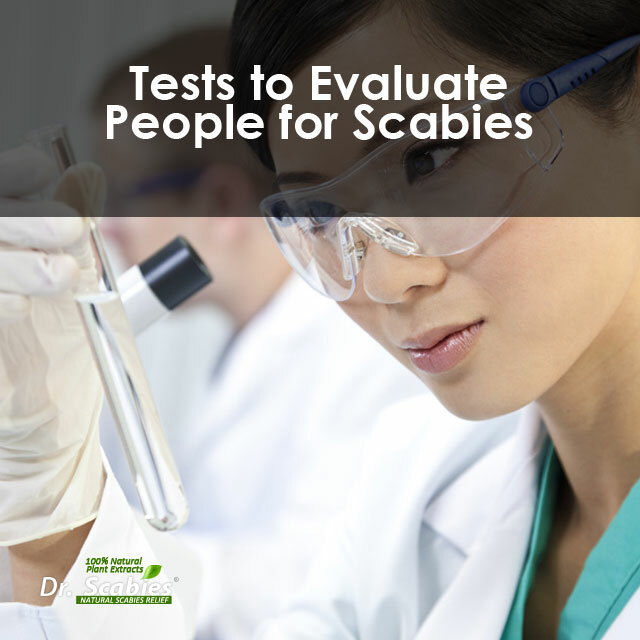 This entry was posted in doctor evaluation, how to test scabies, scabies evaluation, scabies treatment. Bookmark the permalink. Is It Possible To Have Scabies That Don’t Itch? What Is Sarcoptic Mange And How Is It Related To Scabies?